Celebrating 25 years in business in 2015, Art Creations is known for sourcing the world’s most exceptional gemstones for use in exquisitely crafted jewelry designs. Manufactured to the highest standards in New York City where the company is based, its timeless, one-of-a-kind “art creations” focus on unique gems set in platinum and 18k gold. 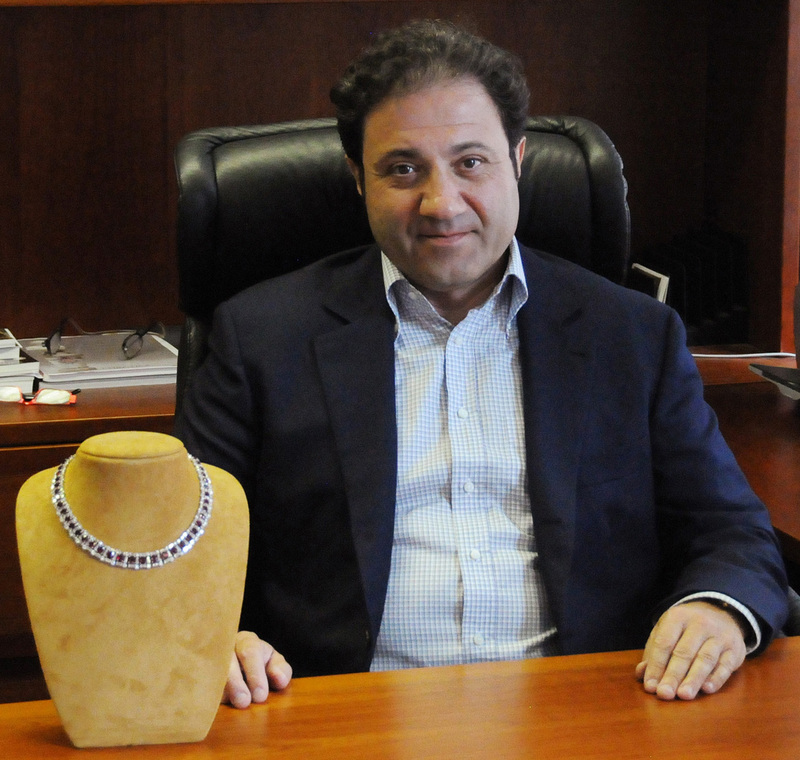 “A big part of our business is sourcing gemstones,” says Arthur Boginsky, company founder and president, who spends three to four month a year visiting markets and mining areas around the globe. Having direct access to the source is one of Art Creations' unique strengths, an advantage in designing and creating exceptional gemstone jewels to delight its clients. With more than two decades of remarkable experience in sourcing rare gems, Art Creations is a great investment opportunity for investors and collectors. Having direct access to the source is one of Art Creations unique strengths, an advantage in designing and creating exceptional gemstone jewels to delight its clients. During our trip to Madagascar we visited Ilakaka-Sakaraha deposit, one of the largest sapphire producers. The quantity and quality of the sapphires found in Madagascar can rival the finest of gems from the more widely renowned sources of Ceylon, Burma and even Kashmir. In 2014 we visited the world’s largest ruby deposit, located in Montepuez, Mozambique. Rubies from Montepuez are very important because of the large quantities and wide range of qualities and sizes produced. Finest Mozambican rubies are comparable with the legendary “pigeon blood” rubies of Burma, which frequently command the highest price per carat of any colored gemstone. In early 2008, several very fine faceted rubies arrived in the market from a new deposit near the village of Winza in central Tanzania. Some very high-quality stones in large sizes up to 20 carats cut have been found there, with an intense red color and a very high transparency. In 2014 we traveled to Zambia to visit Kagem, the world’s largest emerald mine that produces some of the finest Zambian emeralds. Emeralds from Zambia can be of the same quality as their counterparts from other world-famous sources like Colombia, they display excellent transparency and brilliance. Burma is the source of the world’s finest and most valuable rubies. Some notable rubies and sapphires of Mogok valley are the subject of myth, legend and fairy tales. Many such gems are said to be immense in size and to possess hypnotic beauty, worthy of aborning none less than royalty. Ceylon (presently Sri Lanka) is knows as Island of Gems. Although notable gem variety can be found there, sapphires are perhaps what Ceylon is best known for. The mining of sapphires in Sri Lanka remains extremely labor intensive and the recovery of top quality sapphires continue to be limited. ‘Royal blue’ color sapphires are most famous. Throughout the ages, Australian South Sea pearls have been prized as the most desirable and most valuable of all pearl types. The South Sea pearl oyster, Pinctada Maxima thrives only in a miniscule area of the Indian Ocean in the pristine waters off North-Western Australia. Larger sizes exceeding 20mm are occasionally found and such pearls are highly prized due to their greater rarity. Each piece of jewelry begins with exceptionally inspired design to showcase the best parts of each carefully collected gem. As no two gems are alike, we believe that no two designs should be alike as well. Exceptionally crafted, each jewel is hand made and transforms into a piece of art. Our unique inspired designs perfectly balance beauty and rarity with distinctive style and craftsmanship. From scratch to masterpiece, we transform each individual gem into a collective work of art. Each piece of jewelry is one of a kind and handcrafted.